January 6, 2016 by Nefer Khepri, Ph. D.
My dear blog followers, I have not forgotten about you or this deck project. Life is funny. Things come up and you get swept in a new direction. This is what has occurred. As many of you already know, I’m the author & artist behind The Egyptian Lenormand, which I self-published in 2013 and was mass-published and released by Schiffer Books in March of 2015. I was busy teaching an online course on how to read Lenormand cards using my deck, which took a great deal longer than I had originally anticipated. It was an absolute joy to teach and I am looking forward to offering the course again later this year. Other projects then came up. I began writing a book that was accepted by my publisher, Schiffer Books. My book also deals with Lenormand and I am currently placing the finishing touches on it. It will most likely be published sometime in 2018, I think. I am also working on a Tarot deck. I started one a few years ago, but this is not that project, though I do fully intend to return to that other Tarot deck at some time in the future. The new Tarot deck I am currently creating is a subject matter that has always been of tremendous interest to me as it includes my love of Archaeology as well as something else I am unable to disclose at this time. My Egyptian Lenormand was just awarded Best Lenormand or Kipper Deck of 2015 by the American Tarot Association & their publication, Tarot Reflections, which is a tremendous honor for me, especially considering the very talented people who were nominated along with me. This has motivated me to get a move on with all of my other creative ideas. I had hit a road block with The Aloha Spirit of Maui Oracle Deck, in that I am not savvy enough in Photoshop to carry out the edits and manipulations required for some of the card images. I remained stuck for months because I did not have the time to fully learn how to use Photoshop. Fast forward to September, 2015. My 17 year old daughter is a Junior in high school. Like her mother, she loves to create so she enrolled in a digital design class. Score! She has been learning how to use Photoshop so I am going to have her teach me what she knows so I can learn the program on the fast track (I hope it’s fast, oh PLEASE be fast) so I can then return to working on this project. I fully intend to complete this deck. 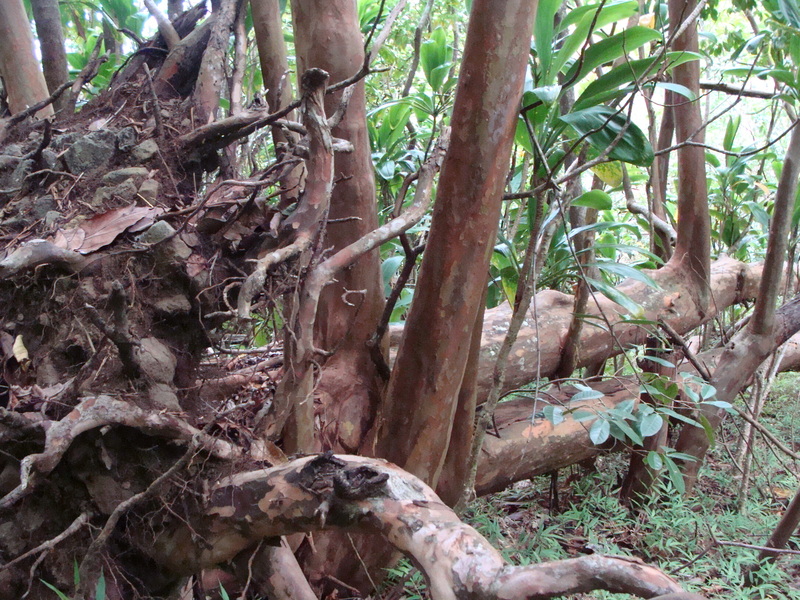 The energy of the Hawaiian island of Maui is incredibly healing. I experienced this first-hand. I attempted to take pictures that captures some of that wonderful energy that I hope will come through in the images I am creating for The Aloha Spirit of Maui Oracle Deck. I ask that you please be patient with me. The wheels of creation can grind slowly when real life intervenes. My husband lost his job in October so he has required a great deal of emotional support to help him through an incredibly difficult time in his life. I had to be there for him & he is now on the verge of opening his franchise business, which will focus on in-home care for the elderly and home-bound. I am very proud of him, a former banker, who chose a business that will be of service to others who truly are in need of such a service, as my own experiences when my own parents got sick proved to me. My daughter requires extra love and care because she suffers from anxiety, but I am very happy to say she has made major improvements this year. She has been maturing and school is no longer an issue because this year she has all wonderful people for her teachers. It is amazing what a huge difference a compassionate and understanding teacher can make in a student’s life. So please bear with me. I promise new images shall be forthcoming. Until then I leave you with these few photos, some of which may end up in the deck, perhaps not. Only time will tell. March 16, 2015 by Nefer Khepri, Ph. D.
The Egyptian Lenormand, by Nefer Khepri (Schiffer Books, 2015). The latest update is that my first publication, “The Egyptian Lenormand” is about to be released and made available by Schiffer Books any day now, then a few weeks later will be at all Amazon sites worldwide. As a result, I have been busy updating my deck’s official website & getting it ready so that it now accepts orders for SIGNED copies. To receive a signed copy you need to order directly from me. I will have decks available for sale as soon as Schiffer makes them available to me to purchase from them.http://egyptianlenormand.com. 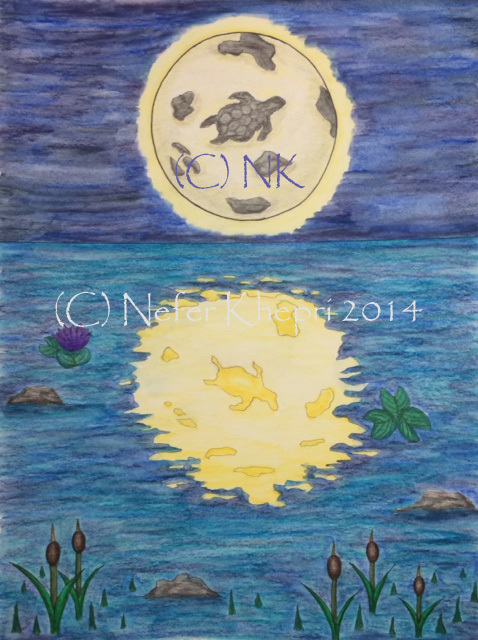 The Moon card, from the forthcoming “Turtle Lenormand” (C) Nefer Khepri 2014, 2015.
self-published “Turtle Lenormand,” which will hopefully be ready to be printed out in about 2 – 3 weeks, then available for sale 3 weeks after that once I receive shipment from the printers. That deck comes with your own little Turtle Friend made of polymer clay by my good friend, Susan Keen Krontz who is a polymer clay artist. No two Turtle Friends are alike. “The Turtle Lenormand” is limited to a 50-copy Limited Edition and I do not anticipate a second printing, so once those are gone, they are gone. Once that deck is available I will let everyone know. Currently, the site is still under construction at http://turtle-lenormand.com. FINALLY, now that I’m all done with the Egyptian Lenormand (minus adding 2 – 3 pages to its website) I shall be returning to work full time on my “Aloha Spirit of Maui Oracle.” I have found more pictures on my iPhone so now my data set of photos from which I have to choose only 44 for the deck numbers around 2300!!! As they are all gorgeous (IMHO) it is very difficult to weed any out. I have my husband & daughter helping me in the process. I will no doubt be needing your opinions once again deciding between multiple versions of a photo so I can decide which one to use for the final card image. I will be posting those here when they are ready for your consideration. You can then vote in the comments section of the blog. I very much appreciate your interest in my work. January 15, 2015 by Nefer Khepri, Ph. D.
Taken somewhere along the Road to Hana during our first trip to Maui in 2009. (C) Nefer Khepri, 2009. Just looking at the pictures brings back the memory of how the sun felt on my face, the ocean breezes, the shade of the trees, all the bright colors of the flowers, and the sounds of the animals. Examining my pictures gives me great joy. I almost feel as though the energy that is so specific to Maui is reaching out to me from over the ocean and half of the continental United States. At one point, while looking at the picture posted here specifically I swore I felt someone give me a brief hug around my shoulders. Although it was very brief – probably lasting no more than two seconds – the sensation remained with me along with a wonderful energy that just seemed to soak into my spine and remain there for several hours. Was it an angel? Some nature spirit from Maui stopping in to say hello? One of my own spirit guides? I may never know. All I know is the being – who or whatever it was – held nothing but positive intentions. I only have 1870 more pictures to examine. December 26, 2014 by Nefer Khepri, Ph. D.
Have you heard of something called the Mercury Retrograde? If not, that is the WORST time to travel. I am living (fortunately) proof of that. Mercury retrograde can uproot your plans in a major way, as I came to discover for myself. Uprooted tree. Iao State Park. (C) Nefer Khepri, 2011. For those of you who may have never heard of the term before, briefly – Mercury Retrograde occurs 3 – 4 times each year. This is when Mercury appears to be moving backwards in its orbit to the naked eye. This is actually an optical illusion. The retrograde period lasts an average of 2 1/2 – 3 weeks. Why is a Mercury Retrograde such a horrible time to travel? We can blame Astrology for that. All the planets have influences over different areas of life. Mercury rules over Travel, but also Technology and Communication; therefore, relationships can go pear-shaped during a retrograde period since relationships depend upon good communication. A Mercury Retrograde can cause situations concerning travel, technology and communication to go anywhere from slightly askew to disastrously terribly wrong. That’s what happened to me on our 2014 trip to Maui. A total lemon. It went through 3 starters and 2 alternators, plus a host of other problems. Then I learned about the Mercury Retrograde and suddenly all my car horror stories made perfect sense to me. I now never buy anything major during a retrograde period. I also will not undertake any business deals, sign any important paperwork, and I am very careful how I communicate with others to make sure everything can remain as clear as possible so I can avoid the problems that can occur during a retrograde. My husband was working for an awful boss at the time who gave him only a 10-day window during which to take his vacation that summer. Luckily, the dates coincided with my birthday in June, BUT it was also going to be during a retrograde. My husband is a banker, very conservative, totally unlike me so there was no way that an explanation of Mercury retrograde would dissuade him from taking those days off. So we planned our trip. I did not give the retrograde another thought after that because I also realize dwelling on something bad can cause it to occur. Instead, I focused on all the fun times we would have and the new memories we would create. 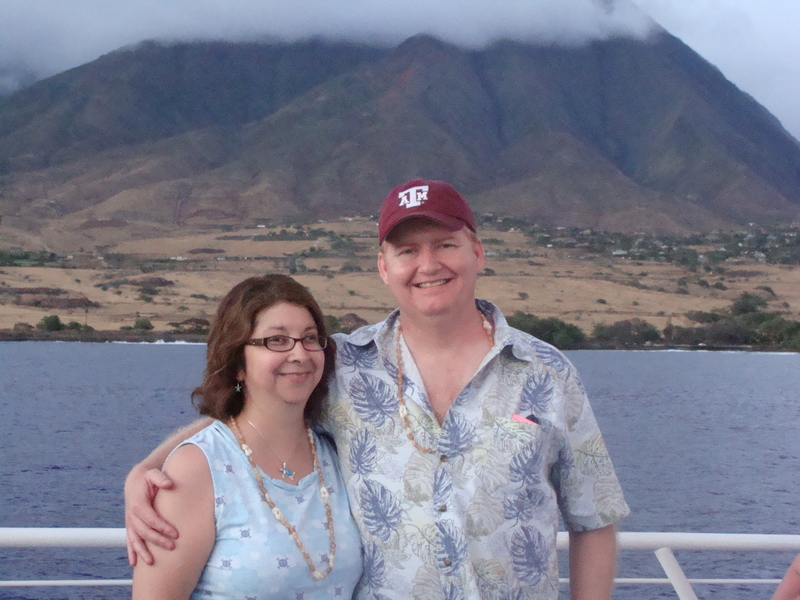 I was very happy we were fortunate enough to visit Maui a third time. We arrived on June 17th and enjoyed the rest of the day. The 18th went really well until around 9:30 PM. We were walking across a dark and unlit parking lot on Front Street in Lahaina. I had forgotten that half of this parking lot is paved over with tar, the other half consists of loose gravel. There is also a curb between the two sections (and why a CURB is there is anyone’s guess!). I couldn’t see the curb and I also was unable to see the ground was about to turn to gravel. The front of my shoe hit against the very top of the curve. This caused me to pitch my other leg forward trying to gain my balance. I thought I’d be fine until my other foot landed on a bunch of loose gravel that somehow managed to move out from under my shoe. Suddenly I was making pinwheel motions with my arms as I was being propelled forward from the impact of hitting my toes against the curb. I couldn’t stop myself and the loose gravel was just adding more momentum. I ended up falling face first. I managed to arch my back to keep my face off the travel, but I stopped my fall with my hands, lower arms and elbows. I then skidded on my stomach across the loose gravel for what my husband thinks was around five feet before I came to a stop. I will spare you the gory details. Suffice it to say I was in such a state of shock that I just began laughing. So did my husband who told me I made a great impersonation of a penguin. I spent the next 2 hours crying while digging dirt and fragments of gravel out of the palms of my hands and my forearms. The next day was my birthday! Naturally, I spent the entire day in a great deal of pain. I was stuck up on the beach since with fairly severe cuts and bandages there was no way I could enter the salt water. Meanwhile, my husband came out of the water to inform me he had swam with several sea turtles. SEA TURTLES. My favorite animal next to cute kittens. I spent my vacation watching other people having fun. (C) Nefer Khepri 2014. I spent the remainder of our vacation putting on the bravest face I ever have in my life as I pretended it was just a few bumps and bruises. It was much more than that. I had fallen on my abdomen and chest. It hurt to breathe. Yet, I did all I possibly could and really pushed myself to have a good time. I did, but all the while I was taking 800 mg of Advil 3 times a day, plus Tylenol. On the plus side, being in constant pain gave me the opportunity to place most of my attention upon the photographs I was taking. I snapped pictures of what my husband thought were odd things (like ants crawling on a plant), but I snapped away with intention. Nearly every shot was taken with the thought, “this could make for a great oracle card.” Had I never been injured I know I would have been more focused on doing things and having fun then just getting through each day with a forced smile on my face. So, a word to the wise, if I may. If you can AT ALL help it, check a good almanac before making travel plans and never EVER travel during a Mercury Retrograde. My case is an extreme example of what can go wrong. Usually, all that occurs is you may have to deal with flight delays, lost luggage, screwed up reservations, screaming babies on your 5-hour flight (we had to deal with that coming home) or overzealous TSA agents who insist on a full body cavity search. Thankfully, the latter has never occurred. I used to always think Astrology was a bunch of newspaper hooey, to be honest, but over the years I have come to discover the planets do have very specific types of energy to them and they can influence our lives in various ways. December 10, 2014 by Nefer Khepri, Ph. 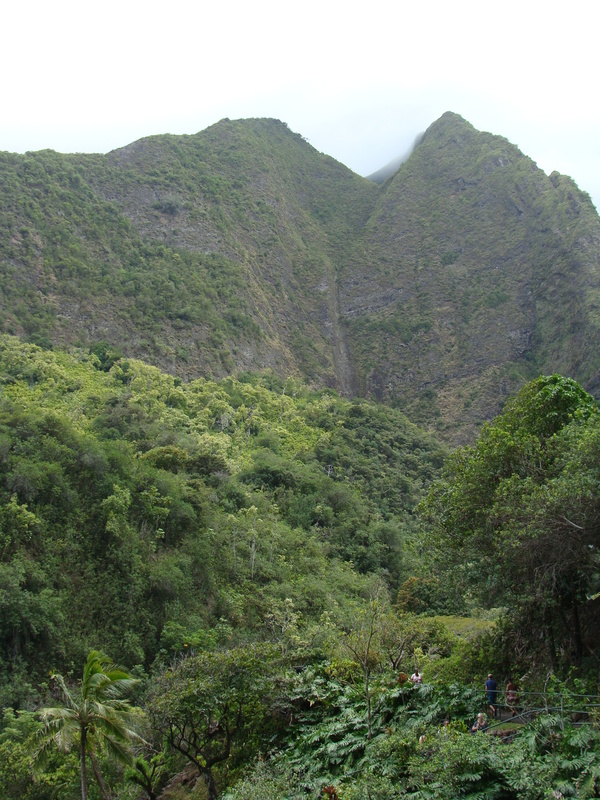 D.
Iao State Park, taken from the parking lot. (C) Nefer Khepri, 2011. Yesterday as I was examining numerous Maui vacation photos on my computer my sixteen year old daughter asked me how do I decide which photo will lend itself to being an interesting card. What a good question, I thought. So here is a bit of information behind my thought processes as I go through the creation process with this deck. First of all, The Aloha Spirit of Maui Oracle is a huge departure from my earlier work. My self-published Egyptian Lenormand is all hand-drawn with the original version taking me 6 months to complete. I then sent a proposal to Schiffer Books who agreed to publish my deck for a much wider audience. Since I originally only created the deck for myself & a few friends (having no idea it would sell over 90 self-published copies worldwide!) I decided to tweak every image. This meant I had to re-do them all – by hand! That took a few more months before the final version was ready to send off to Schiffer. 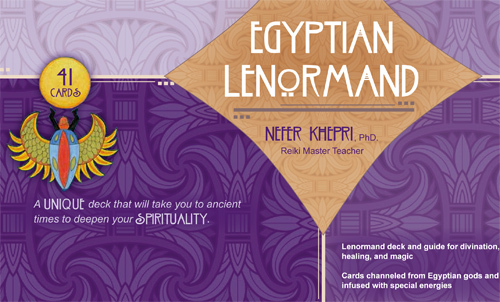 The Egyptian Lenormand will be shipping out in February, 2015 and is currently available for pre-order at Schiffer Books & on all Amazon sites worldwide. My Aloha Spirit of Maui Oracle will be solely based upon my own vacation photos from three trips my husband and I took to Maui in 2009, 2011, and most recently in June, 2014. No hand drawing will be involved, but there are now other dynamics at work. I love photography, and always have. I was given my first SLR camera at the age of 14 and I went crazy with it taking pictures of flowers, my friends, even macro shots of cracks in the pavement and bugs. I found it fascinating at how the lens could capture so much. My love for photography continues, but these days I go for a much simpler camera. Half the pictures were taken with a Sony digital camera and the other half were taken with a Panasonic Lumix digital camera – a little red one that fits in my pocket. It was very handy when we’d go hiking. I could slip it into my back pocket and not worry about it dangling from my neck like the Sony. As I examine my photos from three different trips I began to weed some out. Some were fuzzy, others just didn’t capture what I was looking for, so they all were removed, about 1,000 from a grand total of just over 3,000. That left me with 2,114 pictures remaining that I then needed to organize according to theme. All water shots went into one folder, anything involving the sky went into another, people into a third, animals into a fourth, and then I had a huge folder of landscapes that I then further sub-divided into categories of Flowers, Bushes, Trees, Paths, Rocks, Cliffs, Waterfalls, Interesting Features (such as statues, for example), Buildings, and Beaches. When I was finished organizing my photos into groups I had over a dozen folders. That was a chore, needless to say. The next task, which is still ongoing, is to examine the photos within each category and further weed out photos. I have completed this task for the folders containing sky, water (another huge folder that originally had over 400 photos and now has 41), people, animals, cliffs, and paths. I still have quite a bit left to look through. The folders for which I have completed the organization and weeding-out processes are now undergoing a third process: deciding when an image will make for a good oracle card and when it won’t. Just because a photo is pretty does not automatically mean it will make for a good oracle card. An oracle card, by its very definition, needs to carry some meaning that goes beyond the image. In addition, the meaning needs to be something to which people using my deck in the future will be able to understand and relate to their own lives. That is no easy task. What may contain great meaning for me personally may mean absolutely nothing to anyone else. The task then becomes to not only choose images of the best quality that convey a message, but they should be approachable by others as an oracle that will contain meaning for many people, not just myself. And therein lies the dilemma. How do I decide what will mean something to someone else and what won’t? My background as a professional reader lies mainly in Tarot. I only became interested in Lenormand in 2004 and began studying it in earnest in 2009. Tarot is based upon combining symbols into one image that then has layers of meaning based upon the multiple symbols used on each card. My background in Tarot is really helping me now. I examine each image to see if it contains multiple layers of meaning, or if it has elements that can serve as separate symbols that will work together as a cohesive whole for the oracle deck. Photos that fit these requirements make the final cut. So far, for a deck that will consist of 40 or 44 images I have decided upon five images that have made the final cut. Through my next blog post I will introduce you to the first image of the deck and explain how I chose it and it’s particular creation process. And yes, for those of you wondering, that cute mongoose definitely made the final cut so it’s one of the first five cards. Mahalo for visiting. May your days be blessed. December 3, 2014 by Nefer Khepri, Ph. D.
A 2011 dinner cruise my husband & I took. The island of Maui is in the background. (C) Nefer Khepri, 2011. I know it’s been a long while, but I just wanted to assure you all that I’m still here. I am still focused on making the Aloha Spirit of Maui Oracle a reality. I’m currently focused on completing a different deck, The Turtle Lenormand, which is a Lenormand divination deck that features a turtle on every card. Unlike The Aloha Spirit of Maui Oracle, my Turtle Lenormand consists of all hand-drawn and hand-colored images that is stylistically very similar to my Egyptian Lenormand that is being published by Schiffer Books and is currently available for pre-order at SchifferBooks.com and Amazon. As a Double Gemini I have the fate of forever being distracted and having my fingers in many pies simultaneously. I always bite off more than I can chew and then I struggle to complete one project while other projects languish on the sidelines. Lately, such has been the fate of The Aloha Maui Oracle, but my quest will be to manifest it into reality as soon as I have completed my Turtle Lenormand. Work on that has been slow-going due to family obligations, illness, and the typical distractions that life has to offer us. I have been plodding onward and am happy to say that I now have only 4 images to complete: the last card, 2 extra cards, & the image for the card back. Then I can send The Turtle Lenormand off to the printers and once I receive it back I can start distributing it. That deck is currently available for pre-order. I have been looking at my Maui vacation photos, which number in total over 4,000 and I have narrowed my favorites down to a mere 120 images. This will NOT be a 120-card deck. Wow, can you imagine ever working with such a huge deck? I’m focusing on limited the deck to either 40 or 44 images in total. It will be accompanied by a PDF guide to card meanings I will personally email to every person who purchases my deck. This is a practice I began with the self-published edition of my Egyptian Lenormand that I plan to also follow with my Turtle Lenormand. Meanwhile, I shall be looking into altering the overall theme of this blog, as well as changing the theme of my other blog, Magickal-Musings. 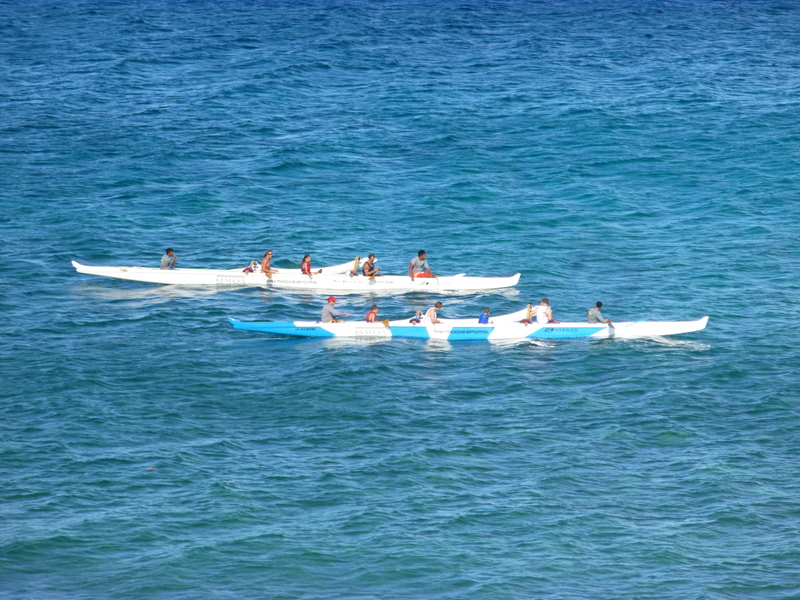 I’m really looking forward to getting back to work on The Aloha Spirit of Maui. 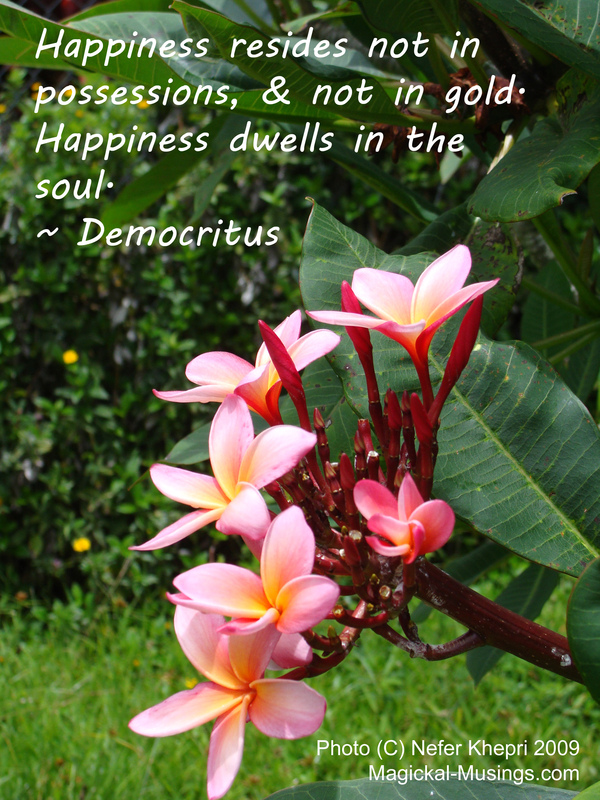 Maui has such wonderful energy and every time I examine my photographs I can feel that energy enveloping me. Every examination of my photographs is like a mini-journey that puts me right back in (or is it on since Maui is an island?) Maui that brings a smile to my face. It is my fervent hope that once I complete The Aloha Spirit of Maui Oracle that everyone who purchases it will also be able to feel that same wonderful energy. August 13, 2014 by Nefer Khepri, Ph. D.
Last week I asked my readers and friends on Facebook to please vote on which image of the mongoose they preferred to be the final image that would be a card in my Aloha Spirit of Maui oracle deck. After keeping track and tabulating votes from this blog, my Facebook timeline, and two of my groups on Facebook, I am happy that the five images have now been whittled down to one. Yay! I won! I won! Copyright Nefer Khepri, 2014. 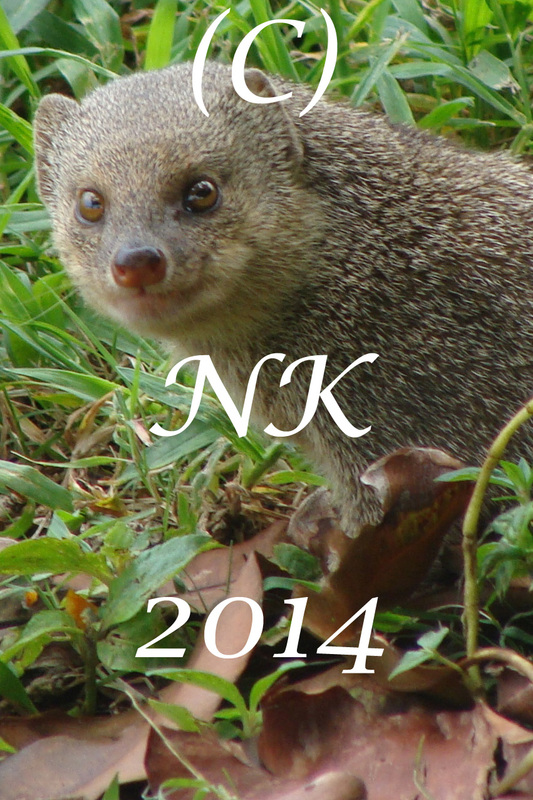 Mongoose Number 2! Let’s all congratulate Mongoose # 2, who here looks like he’s up to something quite mischievous – like perhaps stuffing the ballot box??? That is all he would say to me. I woke up thinking that wow, the mongoose himself prefers Number 2. I find it hilarious that Number 2 actually won. I hope that little mongoose is happy now. I know I am. This was an incredibly difficult decision for me and I thank you all for your vote and for your participation. You all saved me from a huge headache.